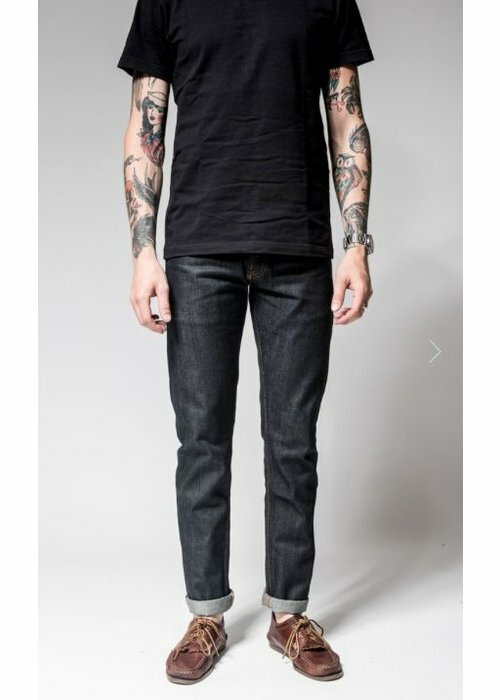 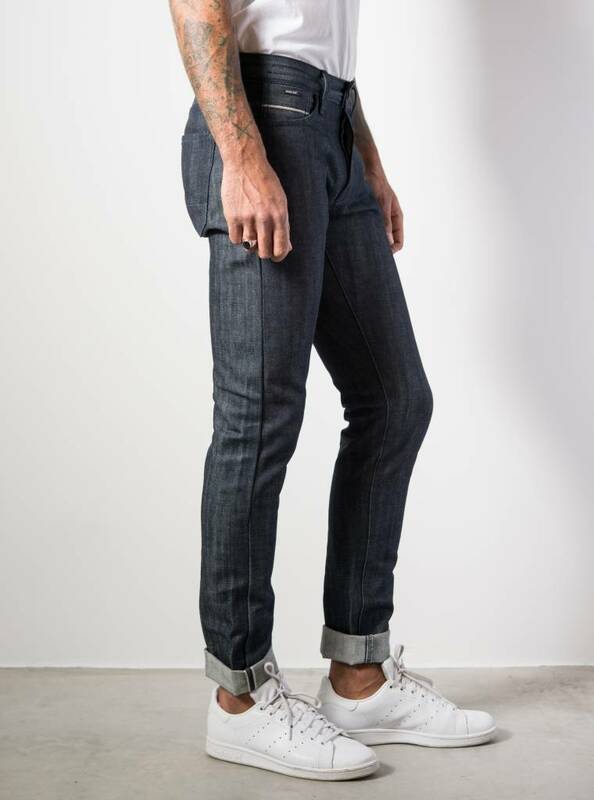 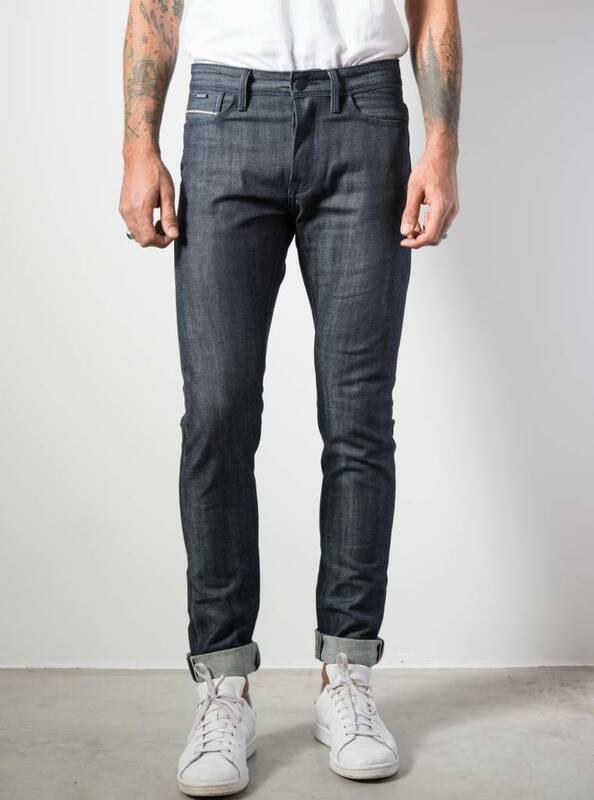 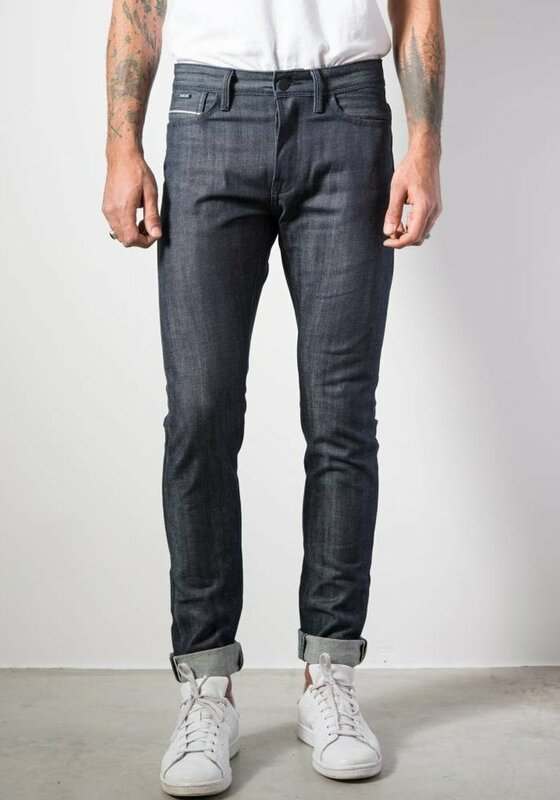 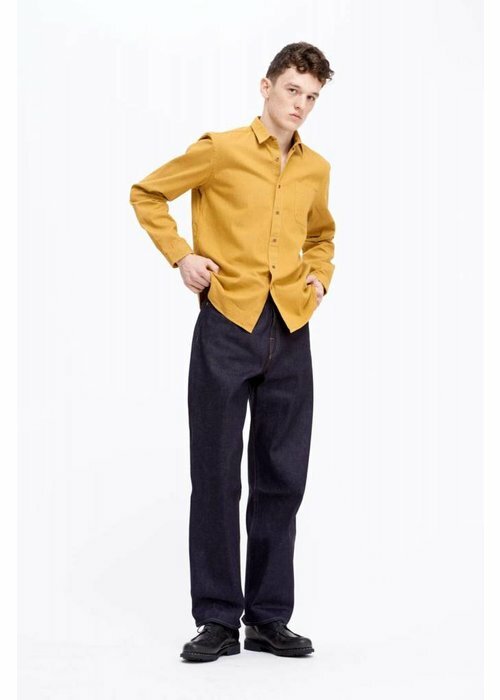 This dry tapered selvage denim by denim.lab comes in a 14.4 oz Cuda fabric. 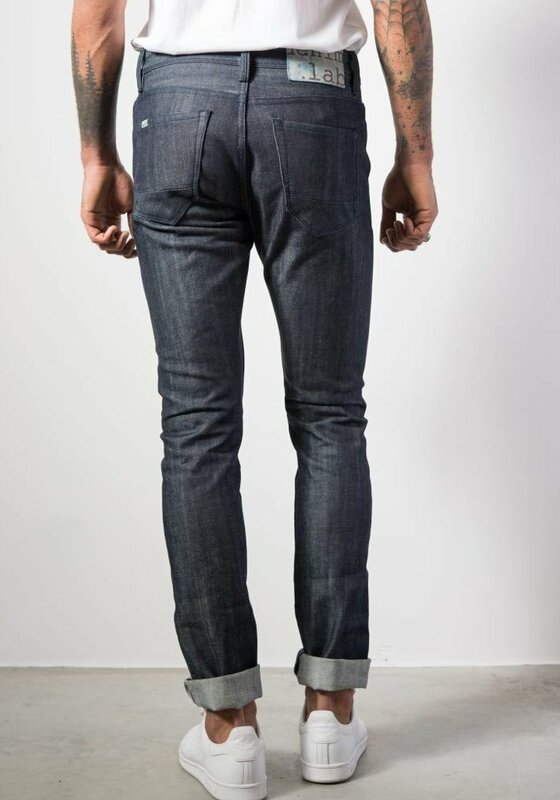 yarn details: Coats true indigo yarn. 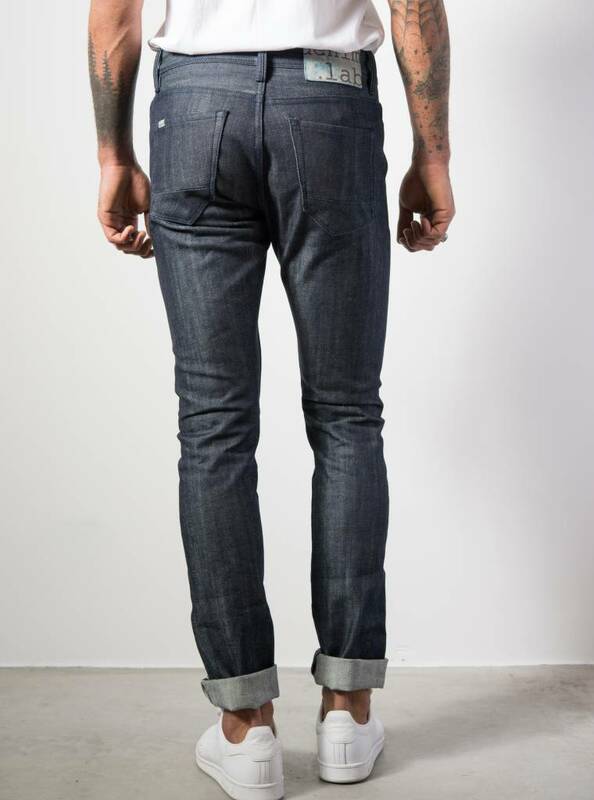 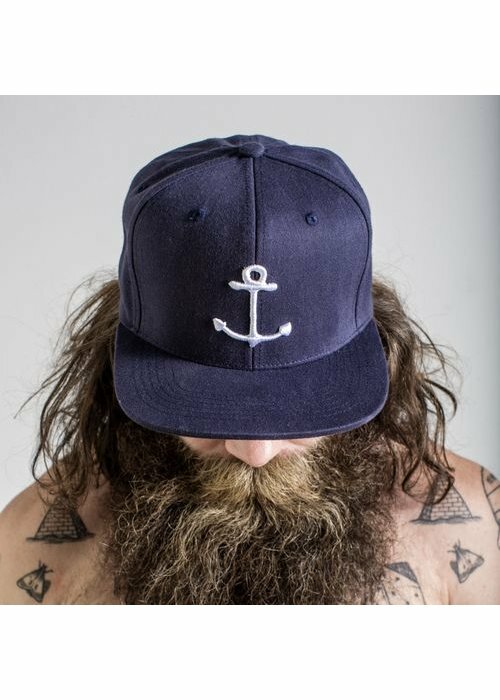 leather: Italian Patch from Pamana Trimmings, individually washed with Indigo water.